No, it’s not too late to get started on Instagram. Although the Instagram’s one billion user mark is just around the corner, marketers are still hopping on the bandwagon by the masses. And why not? As the platform continues to roll out new business-specific features, there’s perhaps no better time than now to build your Instagram presence from scratch. The beauty of using Instagram for business is that the platform isn’t reserved for any particular brand, by the way. Running a brick-and-mortar business? An ecommerce empire? Or maybe you’re a solo business trying to snag some clout? Good! There’s an audience on Instagram that’s waiting for you. At a glance, figuring out how to use Instagram for business might seem daunting. But despite Instagram’s many moving pieces, attracting followers and winning over customers is arguably easier than ever. It all boils down to your strategy. 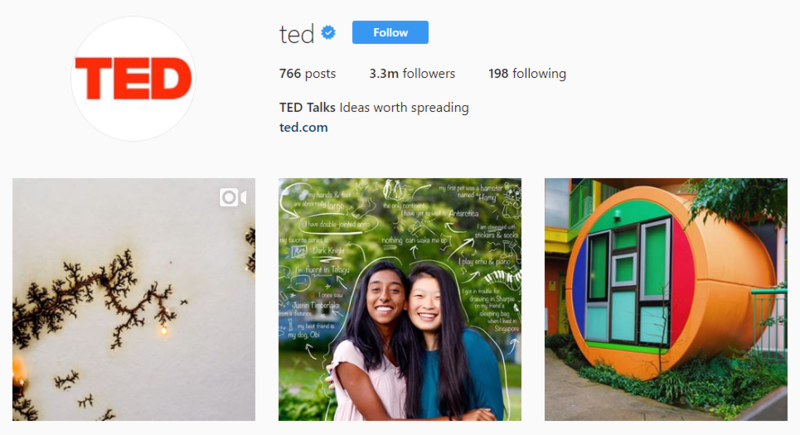 We’ve outlined the essential Instagram for business tips to not only get you started on the platform but build an audience that falls in love your content, too. And with that, let’s dive in! Spoiler alert: you can’t do much on Instagram until you properly fill out your profile. Bio: Your bio is where you will capture the attention of other users. You can either describe what your business does, hype up your website or slap your brand’s slogan here (or all of the above, actually). Bear in mind that you have plenty of room to get creative in terms of how you craft your profile. For example, TED‘s takes a minimalist approach to its profile which goes hand in hand with their branding. 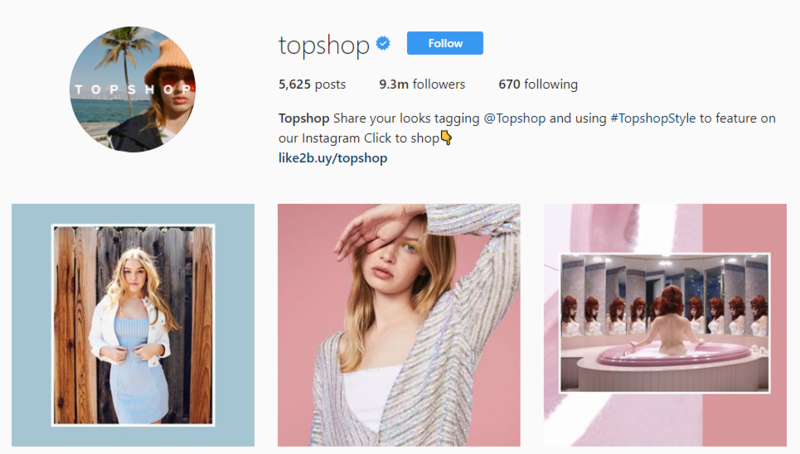 Meanwhile, ecommerce brands like Topshop boast bios that promote their store alongside their branded hashtag. 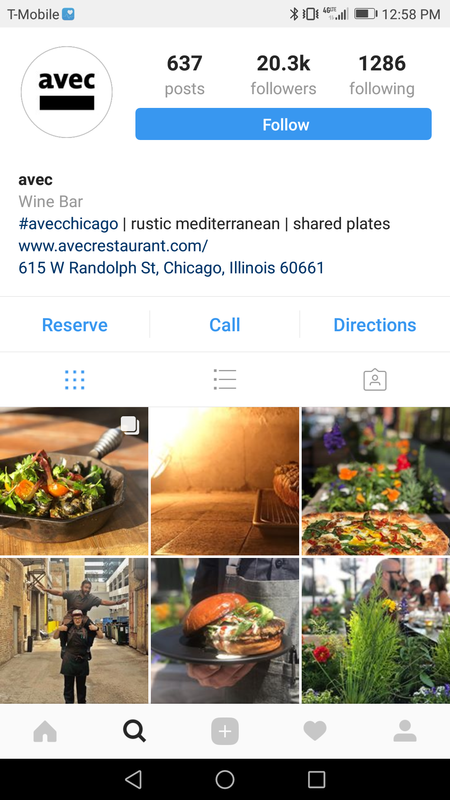 Converting your account to an Instagram business profile is a smart move, especially if your business has a physical location. Rather than fall victim to analysis paralysis, simply start by ensuring the small details of your profile are in order. For more tips on setting up your profile, check out our guide on how to write Instagram bios for businesses. With so many busy users and photos floating around on Instagram, standing out might seem like an uphill battle. Reality check: you do not need millions of followers on Instagram to be considered a success story. Make no mistake: Instagram is not an “if you build it, they will come” platform. Businesses both big and small should focus on not only building their own followings, but tapping into niche communities where their audience is already hanging out. How do you make it happen, though? Where can you find potential members of your tribe? And again, tapping into your target audience means getting specific. For example, the #beauty tag has literally hundreds of millions of posts behind it. 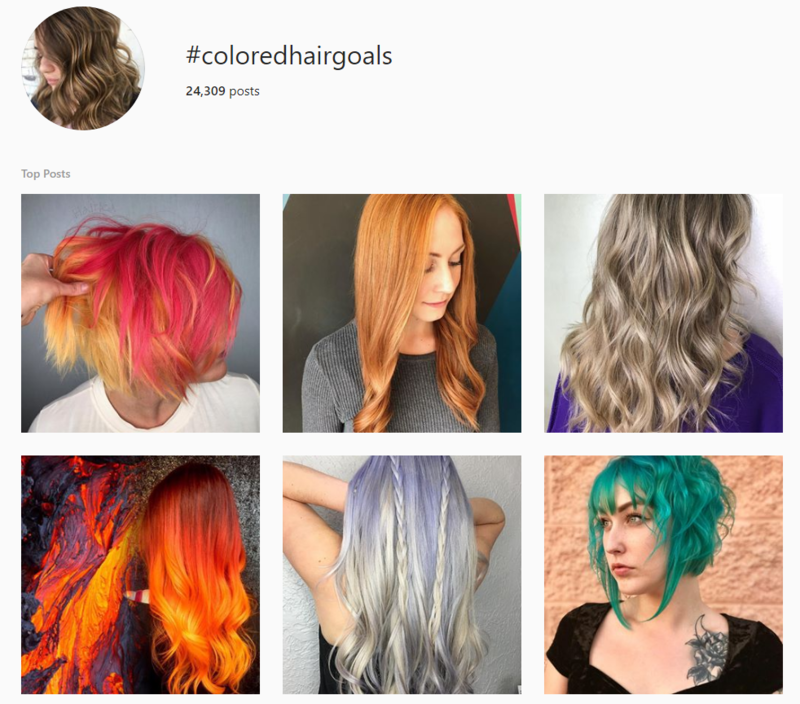 Rather than tackle crowded hashtags, consider how smaller, niche hashtags such as #unicornhair, #bluehairdontcare or #coloredhairgoals exist in which a beauty brand could realistically stand out. 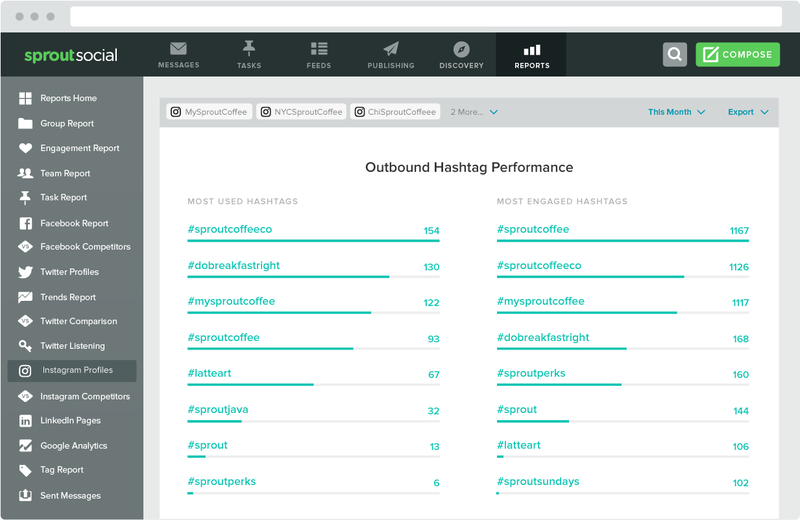 Similarly, location-specific hashtags are perfect for zeroing in on an audience in your own neighborhood. “Think small” is smart advice for brands trying to attract a dedicated following versus swinging for the fences. Oh, and Sprout can help you figure out how to get your hashtags right if you’re totally stuck on how to tag your photos. If your fans and customers are already on Instagram, using them as your billboards is a brilliant move given the popularity of user-generated content. Incentivizing followers to tag you in their photos does double duty of showing off your products and signaling yourself as a brand that listens to its customers. Shouting out your followers creates a sense of brand loyalty that most businesses would die for. The more you can show off your satisfied customers, the better. For example, you should have a keen understanding of how often to post on Instagram to maximize engagement and when your followers are going to be online. Similarly, you should stick to a schedule to keep yourself from scrolling through Instagram 24/7. Speaking of goals, ask yourself: why are you investing in Instagram for business in the first place? This isn’t a trick question, either. The answer directly influences your entire content strategy. Just trying to build some much-needed brand awareness? Have killer product photos that you’re itching to show off? Awesome. Just make sure that you post content that speaks to those goals. Because Instagram is about so much more than random selfies and snapshots, especially given its status the go-to platform to research products. Showing off their product and a satisfied customer as well? Double check. Providing a specific call-to-action for viewers? Yep, that too. Haphazardly posting is not a viable strategy when it comes to Instagram for business. Once you define what it is your brand wants to do, you can begin to better speak the language of your followers. The takeaway here is that people should be able to glance at your feed and have a defined sense of what you’re all about. Having a defined narrative makes it easier to craft captions and choose between photos, all the while reinforcing your identity to people who might not be familiar with you. At the end of the day, mastering Instagram for business is ultimately about, well, business. As evidenced by the brands above, there are a ton of ways to show off your products without totally shoving them in your followers’ faces. Creativity counts on Instagram unlike any other platform. Diversifying your content strategy while also promoting your products should be your endgame, and below we’ve highlighted some awesome ways to make it happen. Of course, straight-up promo posts to announce your latest launch, contest or giveaway are staples of modern Instagram marketing. Video content is insanely popular on Instagram right now. With the help of the wealth of Instagram apps out there, you can bring your products to life minus a massive budget. Instagram for business doesn’t have to be a total suit and tie affair, either. Brands like Chubbies rely on memes and off-the-cuff videos to put their products on display. As noted earlier, user-generated content in the form of customer photos can be some of your strongest marketing firepower. And again, not every Instagram photo needs to be meticulously planned and edited. Showing products “in the wild” is more than enough to people over. The key to consistency is never running out of content ideas to keep your feed fresh to keep your followers engaged and entertained. Power users get approached by companies on a regular basis because of the value they can provide with a single post. As a result, some influencers offer paid shoutouts while others do so organically. The good news is there are plenty of free ways to connect with power users and have them mention your company. You can start by commenting on their photos, or tagging them in your posts. When you tag or @mention someone on Instagram, they’ll receive a notification. After seeing your company’s name pop up in their mentions a few times, they’ll become more familiar with you and be more likely to connect. You can also connect with them on other social media platforms. A lot of Instagram users are also on Twitter, which can be a better option to start conversations. Don’t be afraid to reach out to influencers and introduce yourself with a Tweet. Let them know you’re a fan of what they do and you’d like to connect with them. Another technique that’s not completely free is to offer free samples of your products or services. This approach is effective because you’re offering value instead of just asking for something. Most of the time, you won’t have to ask for a product placement or shout out. If they try your product and dig it, influencers will more than likely post about it on their own. That said, be selective about who you send offers to. Look for users who have a history of getting their followers to take action. Also, their audience should also obviously match your target demographic. Last but not least, let’s briefly talk about the growing “pay to play” nature of social media at large. 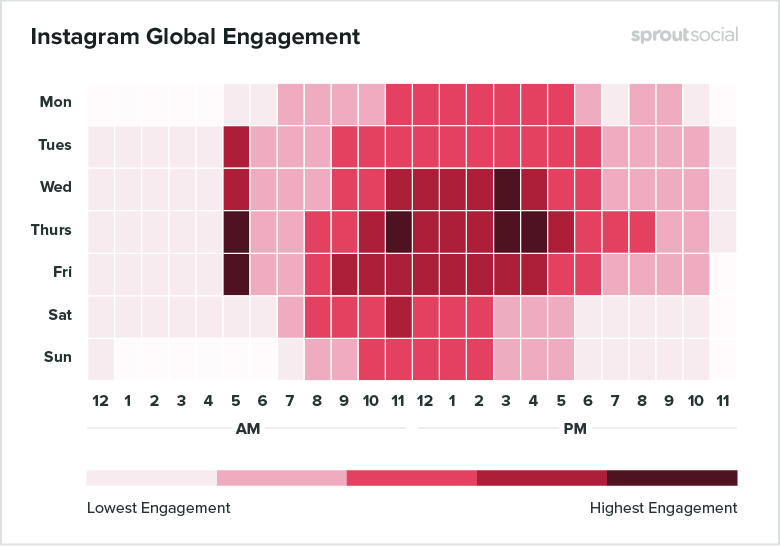 Unlike Facebook, it’s much easier to get in front of people organically on Instagram. However, the numerous Instagram ad types out there coupled with the platform’s robust targeting is tempting for brands with the budget the experiment with ads. With an active, ever-growing user base, Instagram has proven itself as a staple of social marketing rather than a flash in the pan. For brands with a visual story to tell and a desire to grow a tribe of dedicated followers and customers, there’s still a place waiting for you on the platform. We want to hear from you, though. 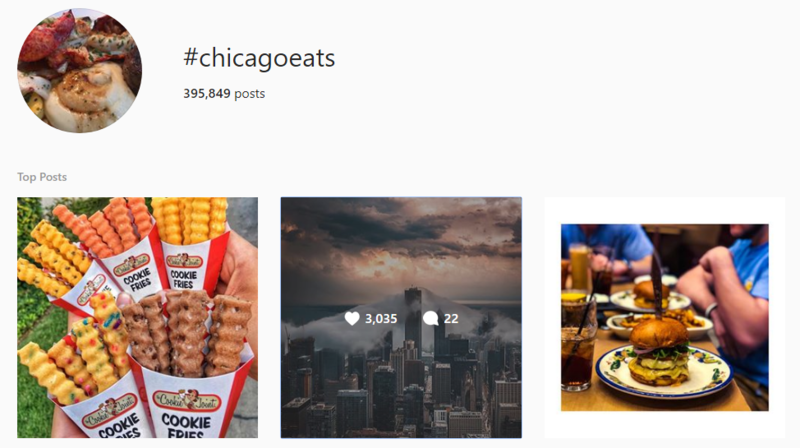 Which businesses do you think are totally killin’ it on Instagram? 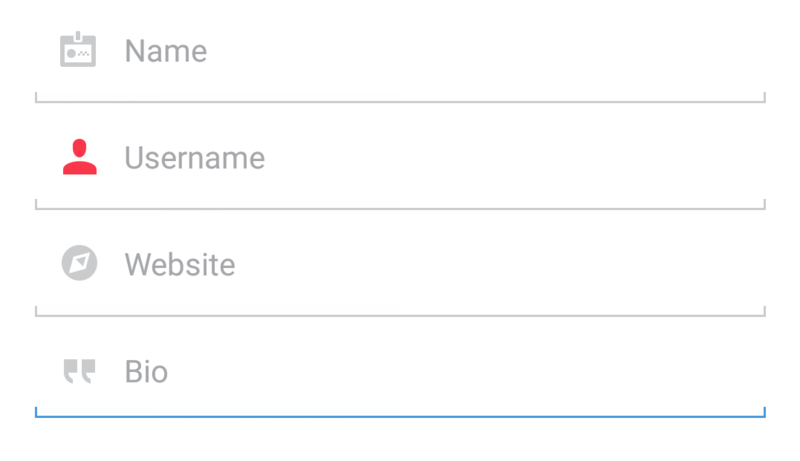 If you’ve had trouble getting started on the platform, what’s your biggest hurdle? Let us know in the comments below!